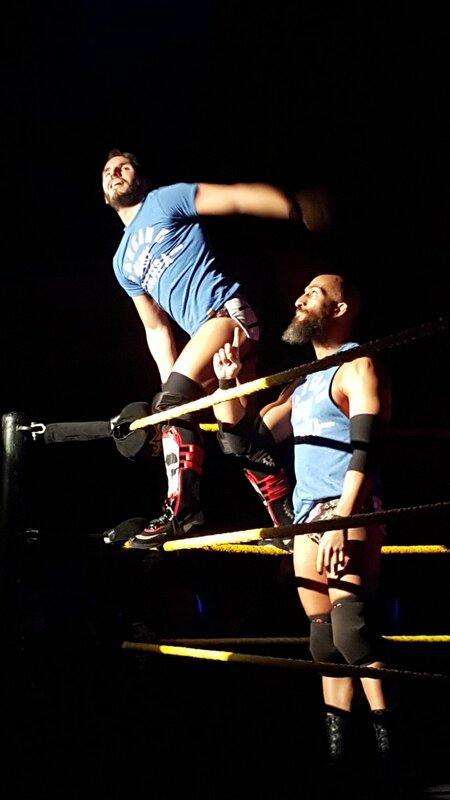 Notes from the NXT Cleveland show I attended with my brother and friend. - It was hell waiting in line for two hours in 20 degree weather. We wait in line because the arena's seats are first come, first serve. Like, you buy ringside but you get first row if you get there early enough. Luckily, we did. - Kayla Braxton looks incredible in person. 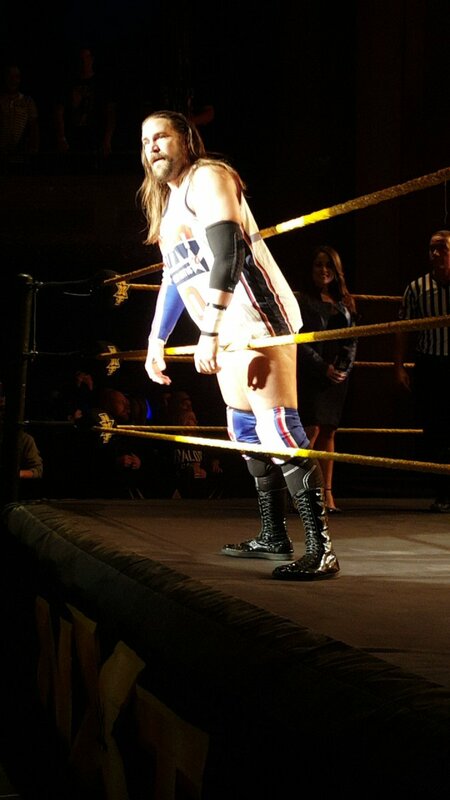 - Kassius Ohno opened to a huge pop. He had Team USA basketball inspired gear. Kona Reeves go no reaction. He did okay but flubbed a spot that messed up an Ohno flip. Ohno won in short order. - Patrick Clarke got a ton of heat. He got into it with some fans at ringside. 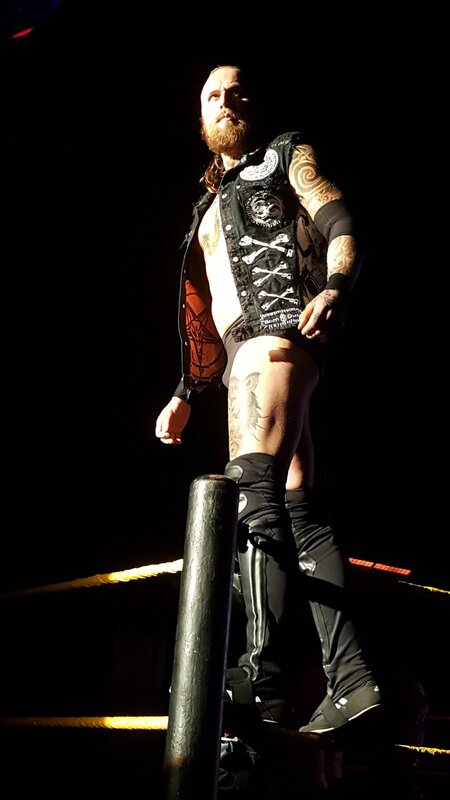 Aleister Black was his opponent and he got a pop, plus some Tommy End chants. This was a better match. Black was great and Clarke showed a lot of potential. - No Way Jose is a blast. His promo was cut off by Elias Samson in a mask, calling himself the Wanderer. It was really funny. He cut down Cleveland in a song but then lost to Jose. 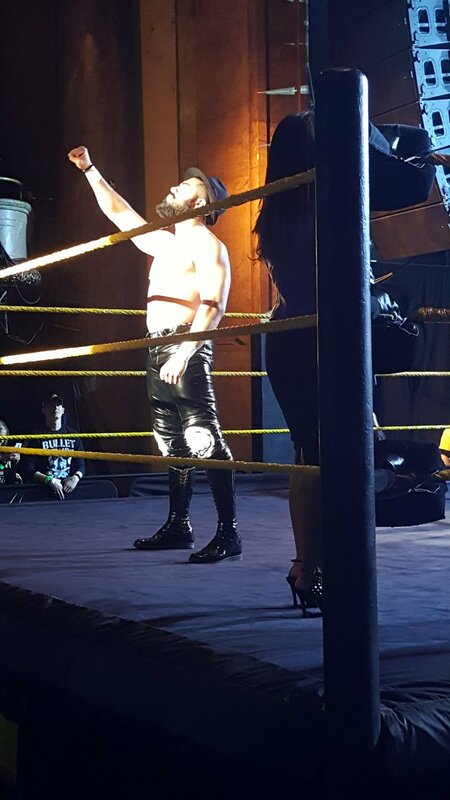 - Nikki Cross is great live. She beat Macey Estrella, who I didn't even know existed. - Almas was awesome but when the crowd saw Nakamura was his opponent, they lost their minds. Nakamura is a spectacle live. This was easily the MOTN up to this point. - After intermission, DIY wrestled SAnitY. Young was the manager. Dane is massive. DIY and especially Johnny was way over. 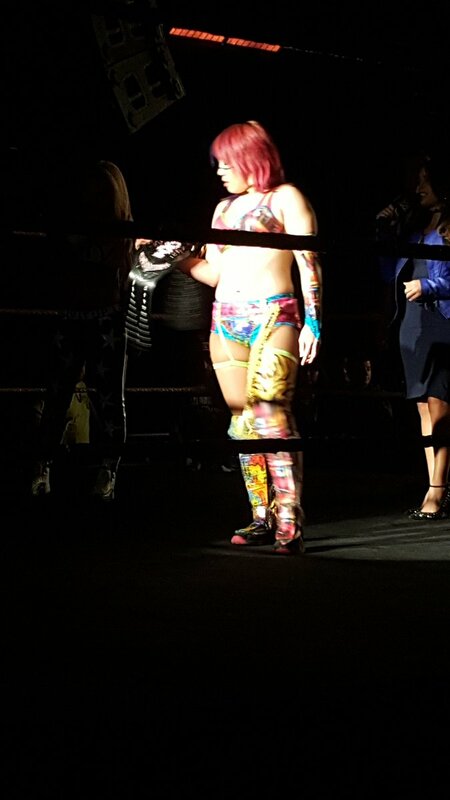 As usual, DIY had an excellent tag match. They can do no wrong in that environment. - Asuka beat Liv Morgan to retain her title. Morgan seems VERY green still and struggled. She still needs a ton of work. - The main event was Roode/Dillinger for the NXT Title. This was a very old school main event. Roode did things like using the rope for leverage, Tye sold the hell out of leg work and Roode did some Flair spots. They wrestled in front of me at one point, which was cool. I loved this match, probably more than their TakeOver one. Tye had it won with his finisher but Eric Young ran out for a distraction. Roode hit a low blow and his finish to win. EY and Roode had a staredown, getting "TNA" chants. 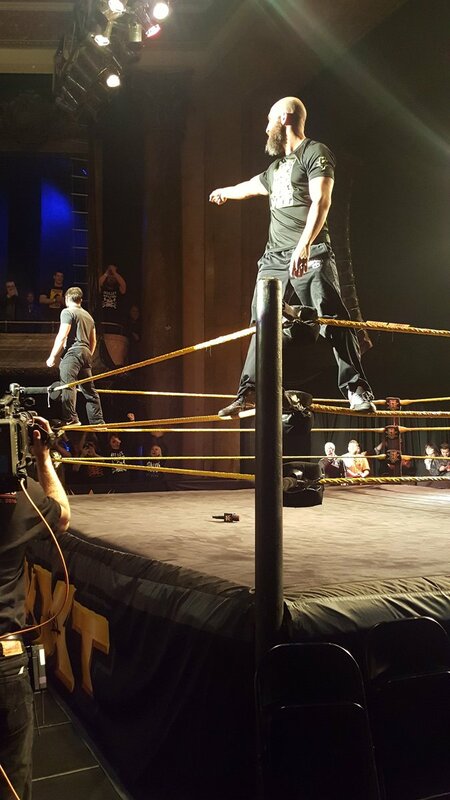 They both jumped Tye, bringing out Nakamura for the save. 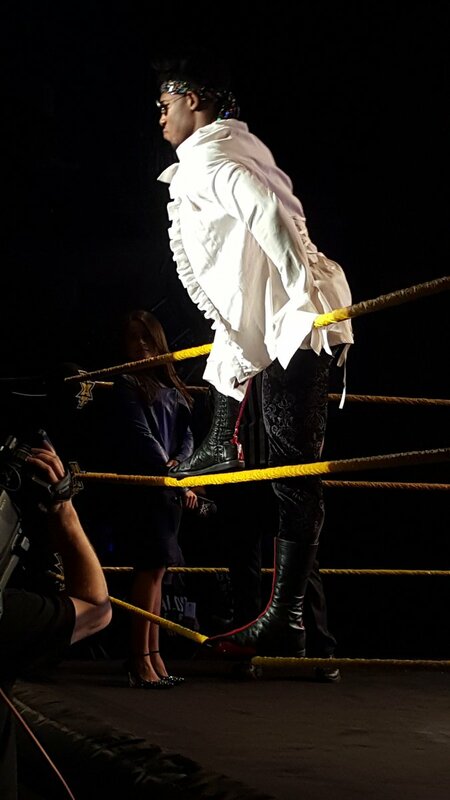 - Roode is a tremendous old school heel live. - Tye got on the mic and brought out DIY. He put them over as the future of tag team wrestling and said Nakamura is his favorite wrestler. It sounded like a goodbye of sorts for Tye. They all posed and left.